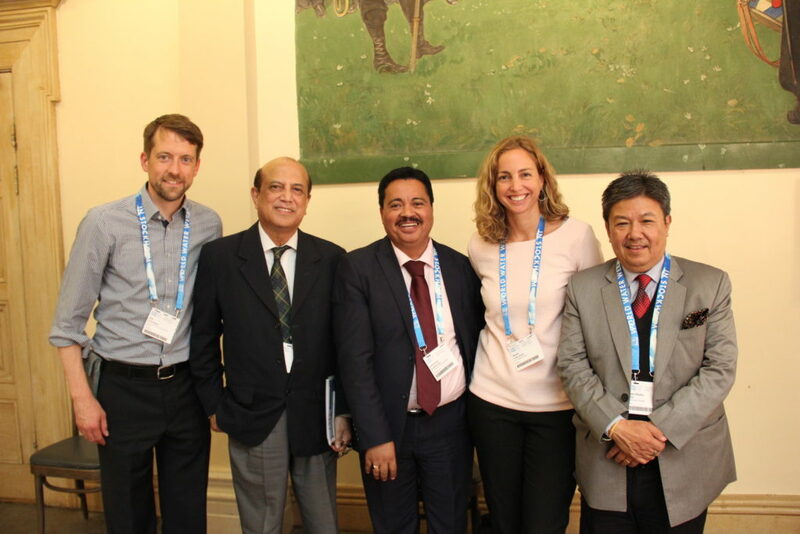 Partners and speakers at the 2017 Stockholm World Water Week. 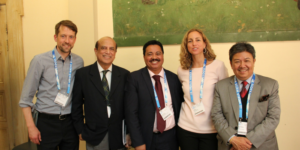 From left: Thilo Panzerbieter, German WASH Network, Mushtaque Chowdhury, BRAC, Ambinintsoa Raveloharison, Madagascar National Nutrition Office, Natalia Uribe, Action Against Hunger and Prof. Geeta Joshi, National Planning Commission of Nepal. 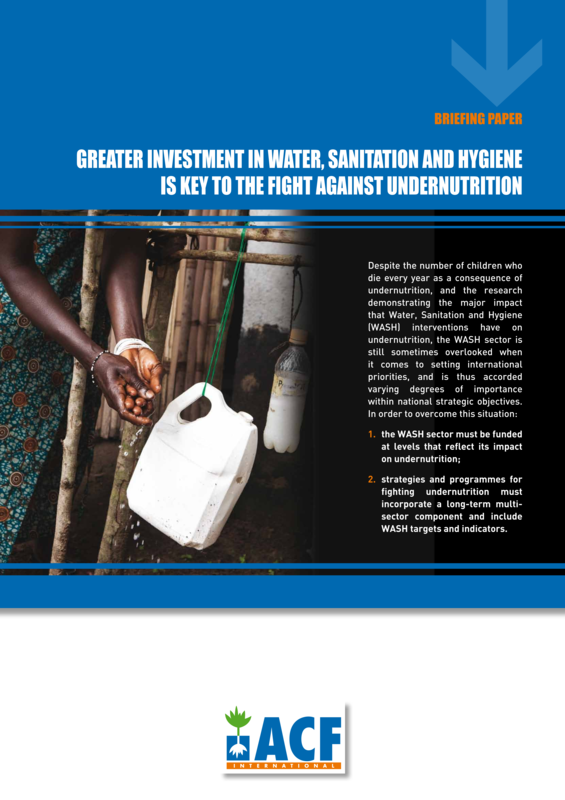 The three main underlying causes of undernutrition are unsuitable or insufficient food intake, poor care practices and disease – these are directly or indirectly related to inadequate access to water, sanitation and hygiene (WASH). In addition, we know that all stakeholders must engage in a multisectoral dialogue and explore multifaceted approaches to global issues in order to reach all 17 of the United Nations Sustainable Development Goals. 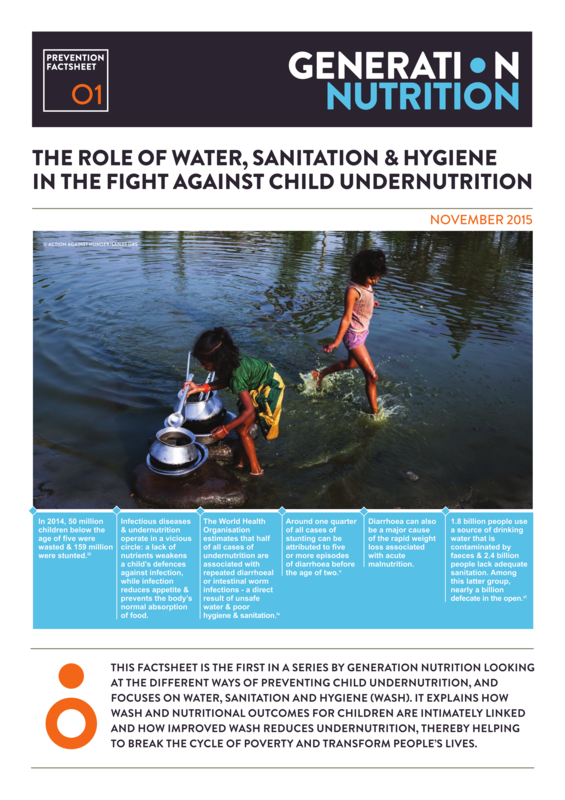 Fortunately, there is a growing base of evidence that indicates that the WASH environment can be critical in shaping children’s nutritional outcomes and complementary resources which provide guidance on how this integration can happen, practically. A quarter of all stunting is attributed to five or more episodes of diarrhoea during the first two years of life*. 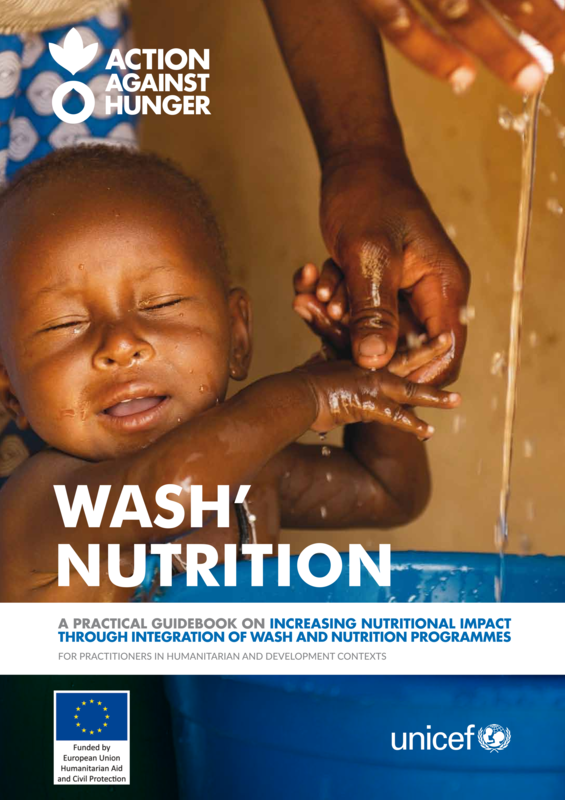 WASH programmes are often implemented on a large scale and therefore, can serve as a key delivery platform for enhancing the coverage and effectiveness of nutrition interventions. 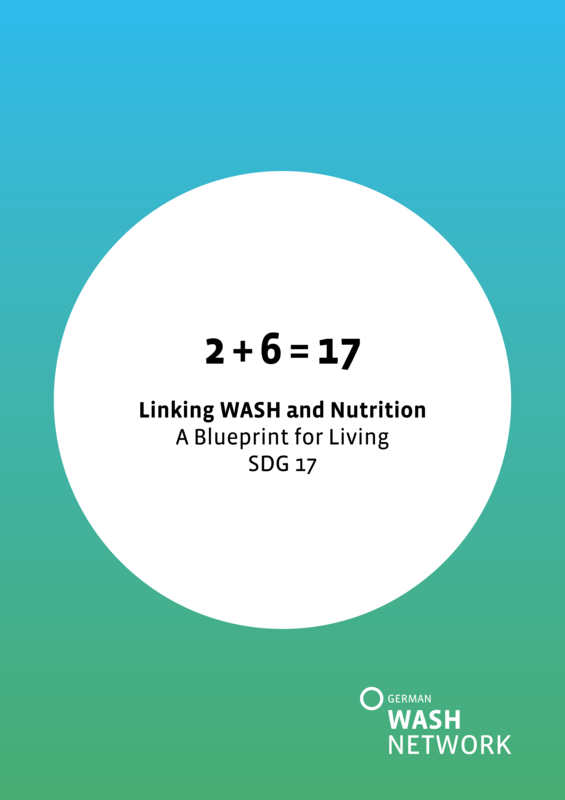 Collaboration between the two sectors will ensure WASH programmes are designed to include the necessary nutrition-sensitive characteristics to effectively contribute to achieving better nutrition outcomes. 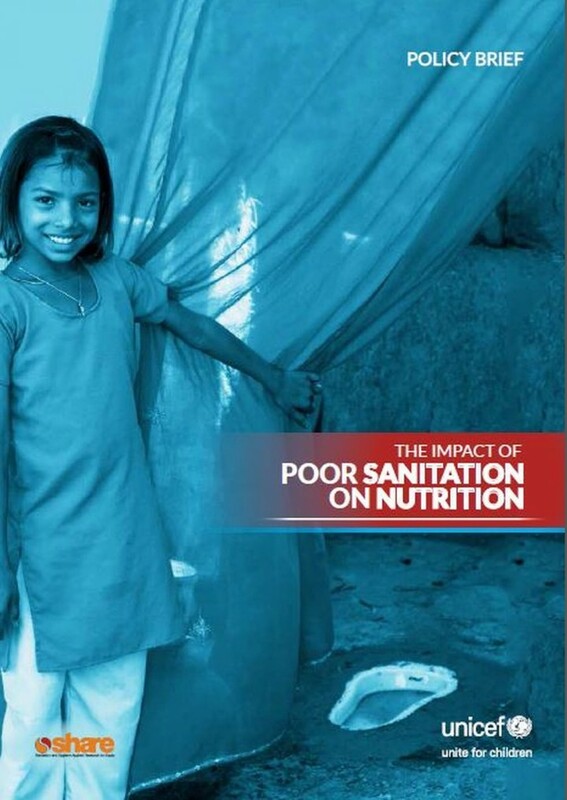 According to WHO, 50% of undernutrition is associated with infections caused by poor water, sanitation or hygiene*. 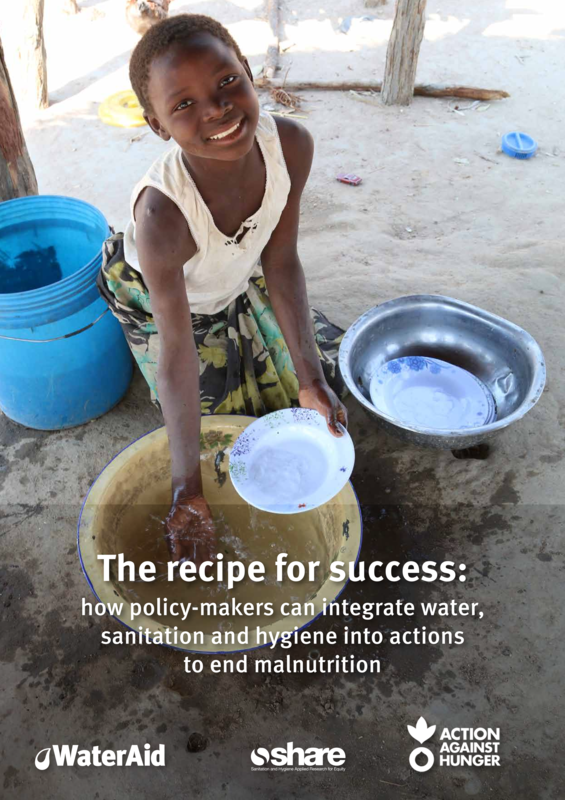 How is the SUN Movement taking action on better integrating WASH and nutrition? In 2015, the international Bonn WASH Nutrition Forum was the first meeting of its kind, bringing together nutritionists and WASH experts. 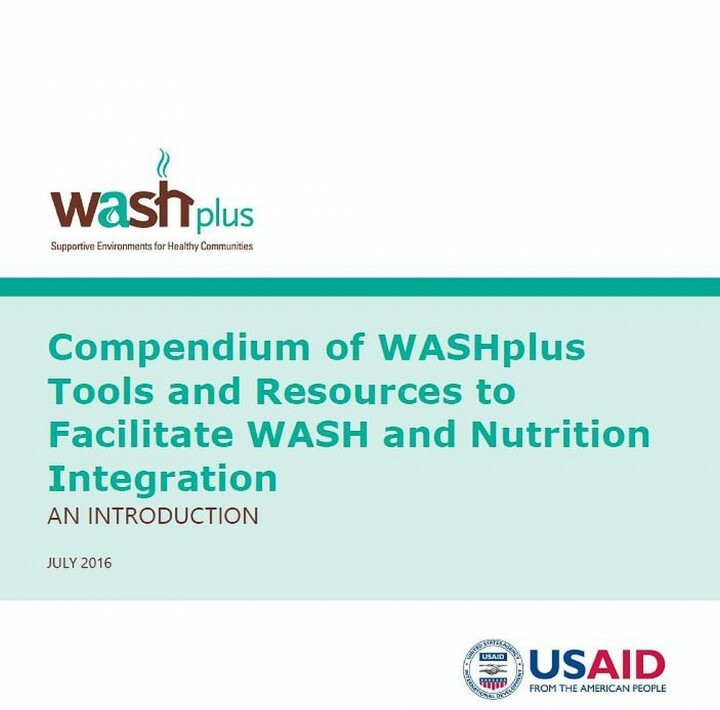 Six recommendations were made for both communities to develop new analyses, tools, evidence, funding and commitments to strengthen knowledge in the links between WASH and nutrition. 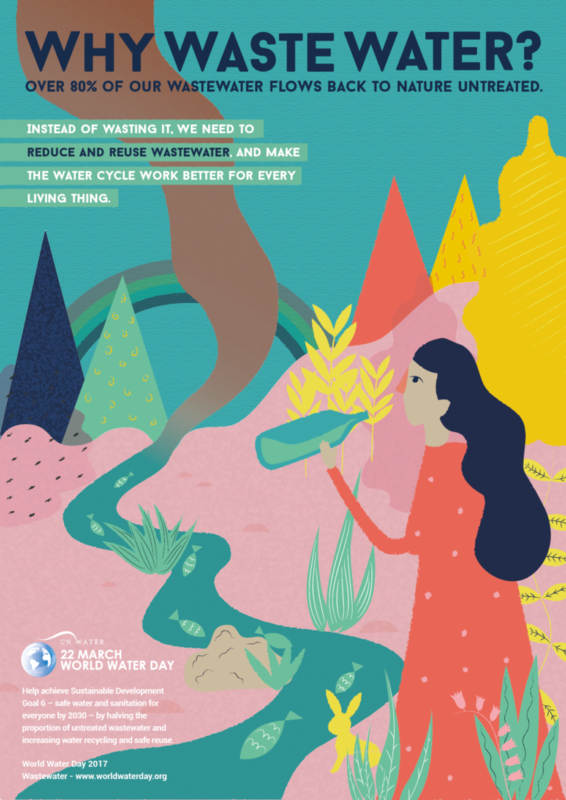 In response to this, the SUN Movement has partnered with Sanitation and Water for All (SWA) to identify, recognize and disseminate the efforts of national governments to understand, test and improve the coherence of WASH and nutrition linkages. SUN and SWA have agreed to collaborate, focusing on three thematic areas, namely joint advocacy, good practices and research. Both SUN and SWA recognise that building collective knowledge is key to ensuring that learnings can be shared to inform stronger research and guidance for better implementation and advocacy efforts. 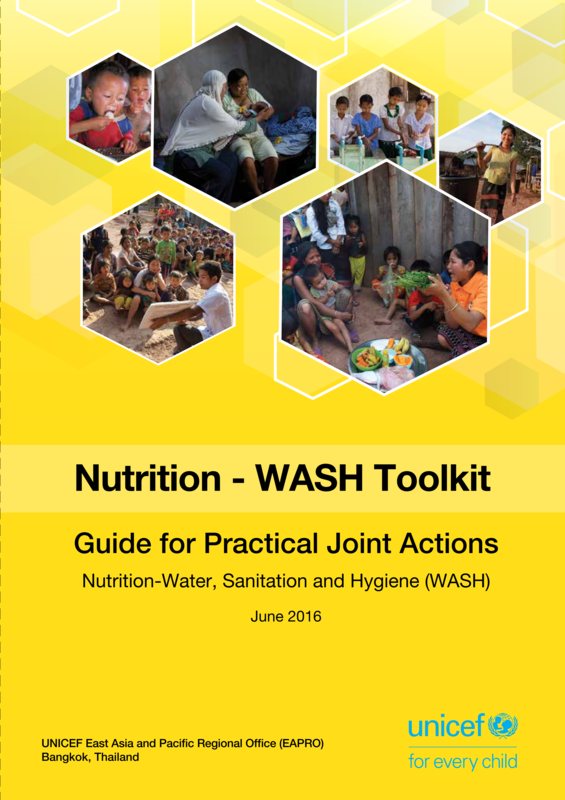 Download the joint WASH/Nutrition narrative (English | Français). In addition, the SWA Nutrition Working Group was established in 2017 to work on the cross-sectoral thematic issues of WASH and Nutrition. 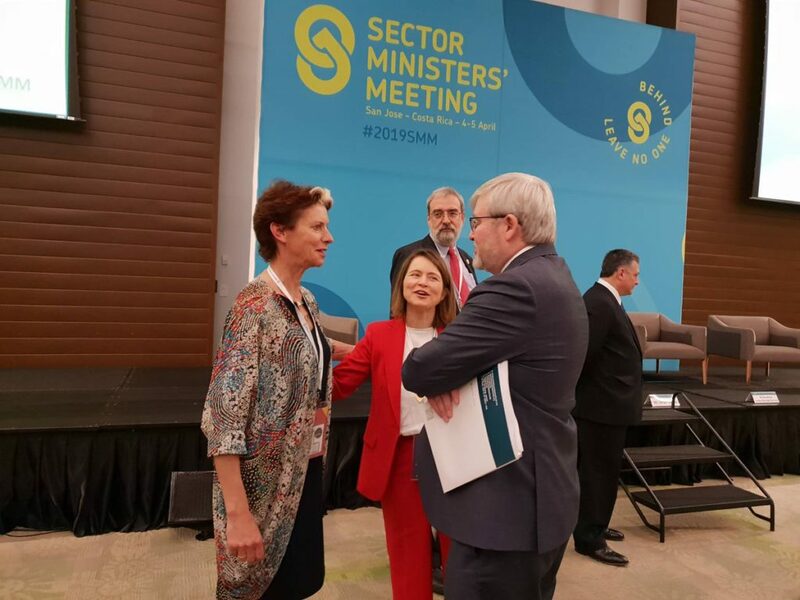 The purpose of the group is to seek and foster the relationship between the two global platforms, thereby contributing towards several SDGs, to ensure dialogue and joint action with SUN WASH-Nutrition action. The group also identifies useful areas of SWA-SUN cross-partnership learning (e.g. on working procedures) and offers and creates dialogue between secretariats and partners on national and global level. Only national policies and plans that cut across sectors can contribute to the impact needed to reach the sustainable development goals. 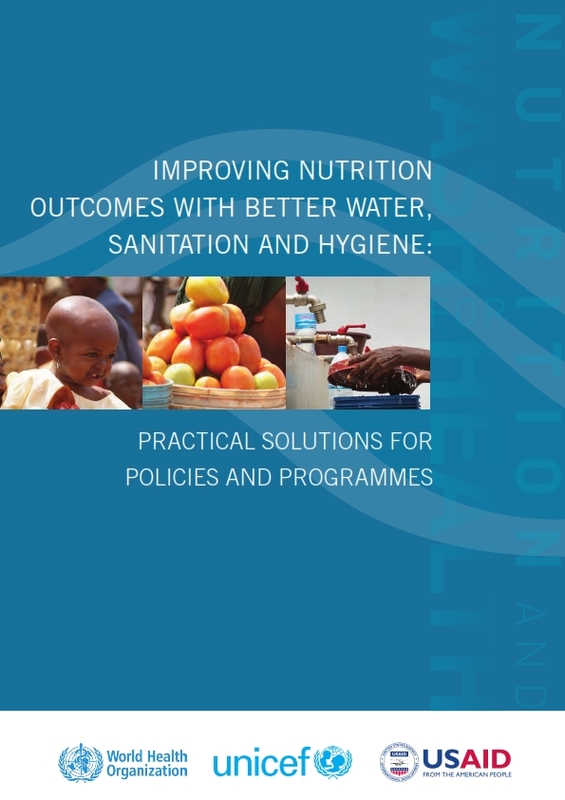 WASH and nutrition are inextricably interlinked and when policy makers from both WASH and nutrition recognise this and reflect it in both sectoral plans, the impact on the nutritional status of a population will be amplified and progress can be accelerated. Political will is critical in ensuring that a national strategy is developed in consultation with multiple stakeholders across multiple sectors. 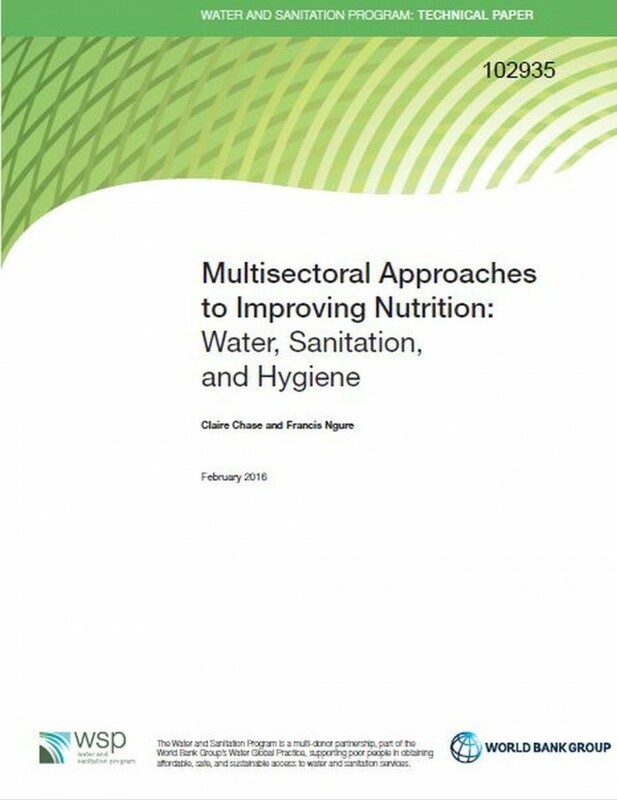 By ensuring that a strategy for WASH or nutrition includes important crosscutting issues and specific objectives of the other sector, this can trigger proactive approaches that will be adopted by partners to ensure integrated action from the outset. When we analyse plans across different countries, we can develop a clearer picture of successes and challenges faced. 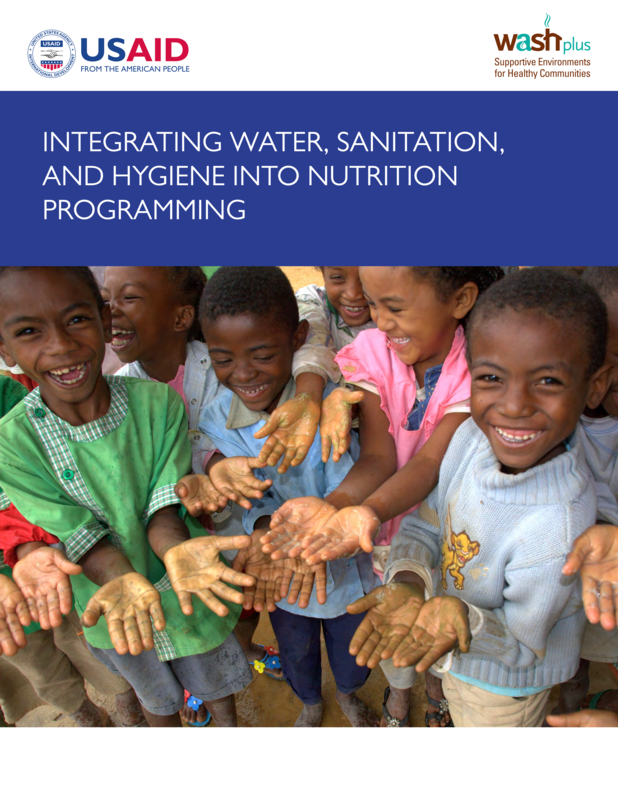 WaterAid’s 2016 Missing Ingredients report analyses how integrated WASH and nutrition plans are integrated across 13 countries. This is explored even further in the second edition, Recipe for Success. Using these reports and supporting further analysis in the future will identify where gaps exist and help to ensure that the right capacity is built to address those challenges. 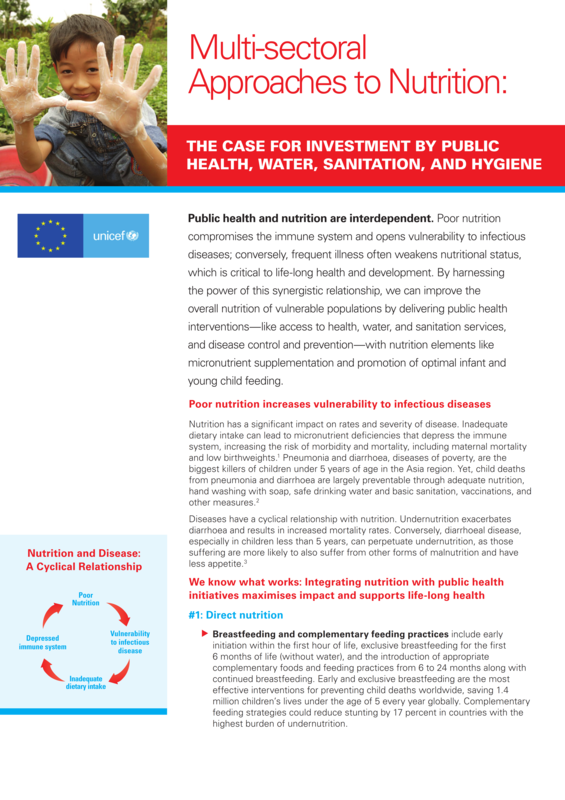 More commitment to nutrition is dependent on financial investments made in key sectors. In 2015, twenty-five SUN Countries identified nutrition-sensitive allocations from more than four key sectoral domains comprising health, agriculture, education, WASH and social protection. Countries that undertake the tracking exercise highlight its value in sensitization by introducing a nutrition lens to some sectors and acting as a catalyst for further engagement. Visibility about where public investments are being made is a crucial first step in engaging across sectors. 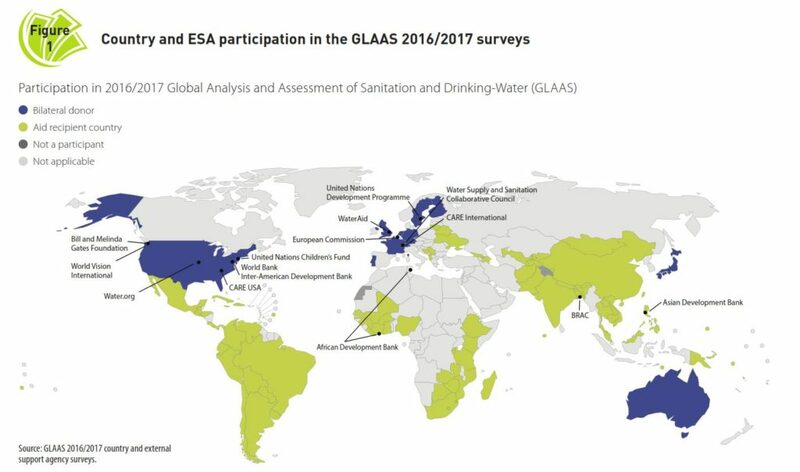 By ensuring more open dialogue about WASH and nutrition spending, countries will find more efficiencies between WASH and nutrition programmes, getting more value for money, to deliver the more effective services to populations in need. Data on financing empowers civil society to advocate for more resources and more effective allocation of resources. Civil society must engage in how public and donor funds are distributed to ensure they deliver the impact needed for WASH and nutrition at the community level. There are 5 main pillars of the WASH’Nutrition strategy initially designed by West and Central Africa WASH Regional Group in 2012 with the support of many partners: Co-location: target areas affected by undernutrition, focus on the mother-malnourished child unit, increase emphasis on behaviour change, improve coordination and reinforce the principle of WASH minimum package. Co-location of WASH and nutrition services will ensure there is more impact in areas of high malnutrition prevalence. To achieve this, we need information systems, aligned sector action plans and strong stakeholder coordination. Co-location is an effective way to achieve impact, at scale. The first 1,000 days from pregnancy through to a child’s second birthday is the critical moment where a child’s nourishment determines the child’s destiny. 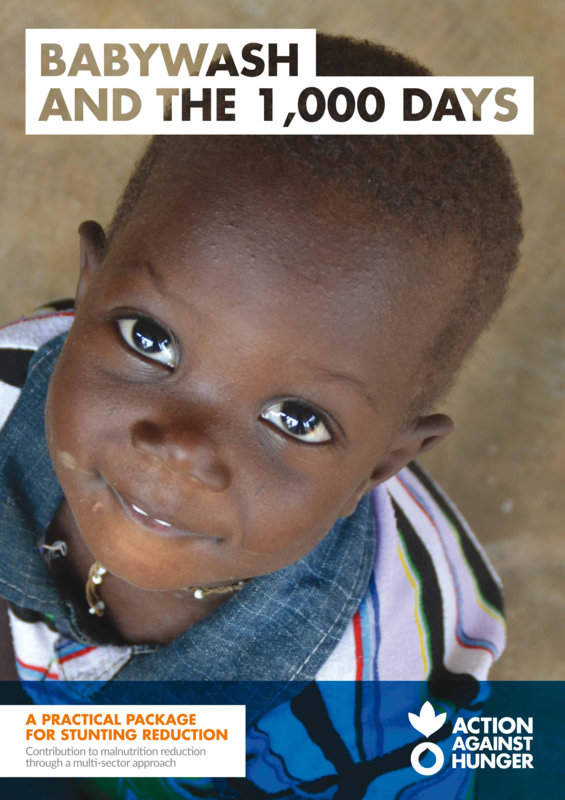 An increased focus on the thousand days, with mother/child as a target group for WASH programmes will ensure more children enjoy the cognitive and physical development they need to reach their full potential. 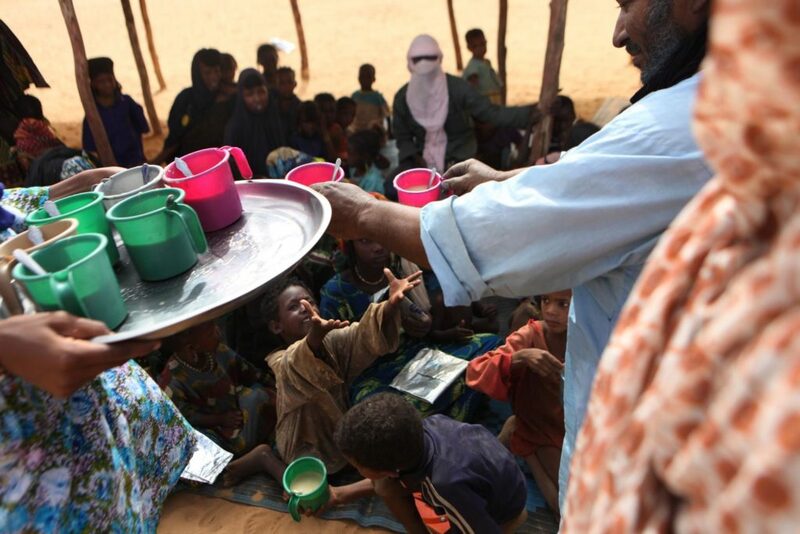 When children are undernourished they are more likely to suffer from diarrheal diseases and other infections. 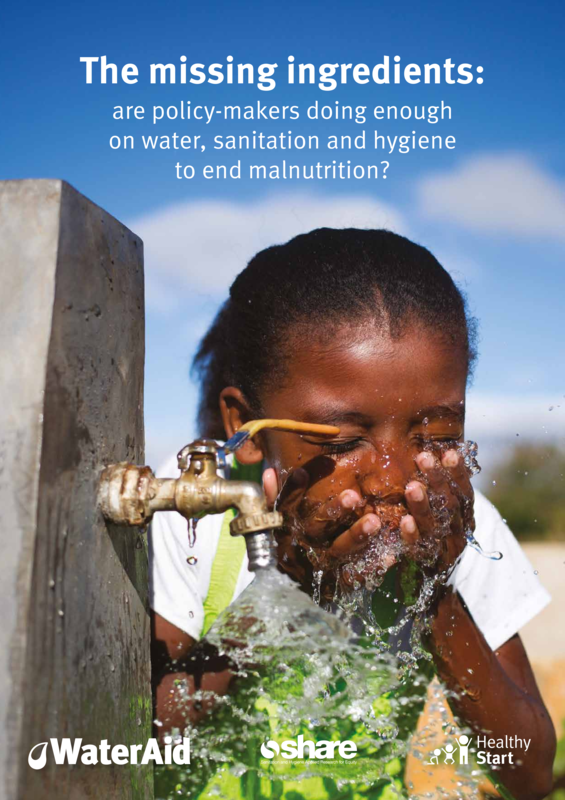 Behaviour change programmes to improve WASH and nutrition educate communities on how to combat the underlying factors. Scaling up these programmes will play a huge role in breaking the cycle of recurring illness. Reaching most of the Sustainable Development Goals requires a multisectoral approach and this can only be done with effective coordination. When resources are bundled, particularly between interlinked sectors like WASH and nutrition, expertise can be maximised and sustainable impact can be achieved. 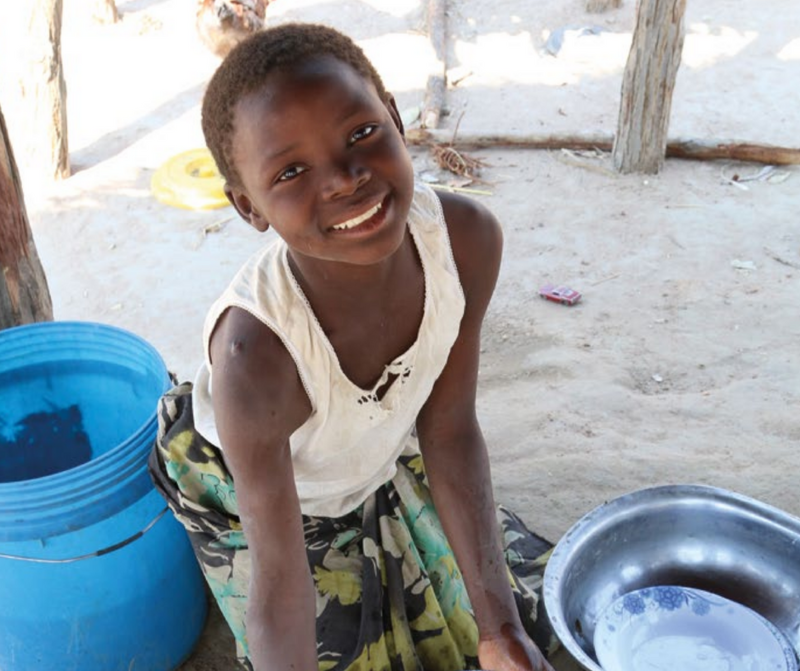 The WASH minimum package for households is a combination of WASH service delivery and awareness-raising around the importance of safe hygiene practices – a minimum needed to prevent WASH related diseases. When we ensure and reinforce the principle of the WASH minimum package both in health and nutrition centres and at the household level in communities affected by undernutrition, we can play a critical role in keeping mothers, children and their families healthy. 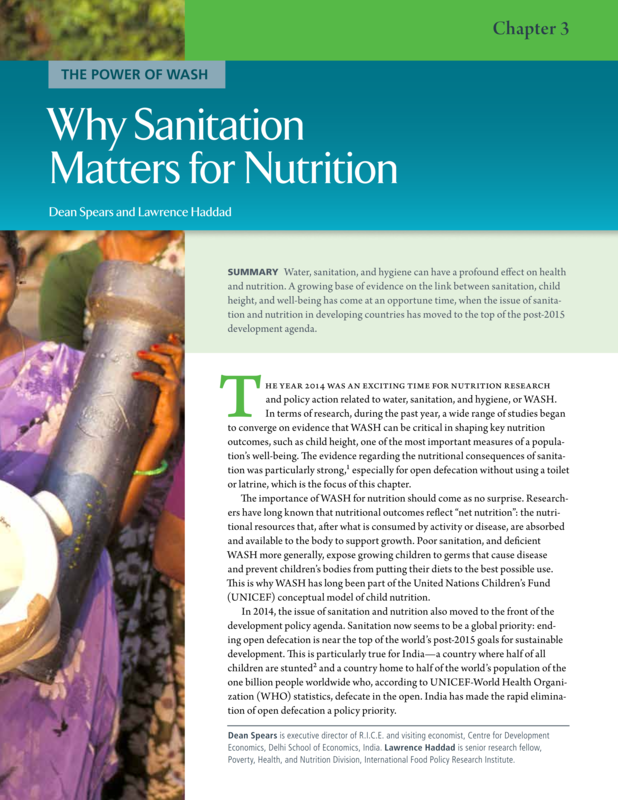 The Sustainable Sanitation Alliance (SuSanA) Working Group 12 on WASH and nutrition raises awareness for the links and integration means by providing space for discussion of practitioners from both fields. 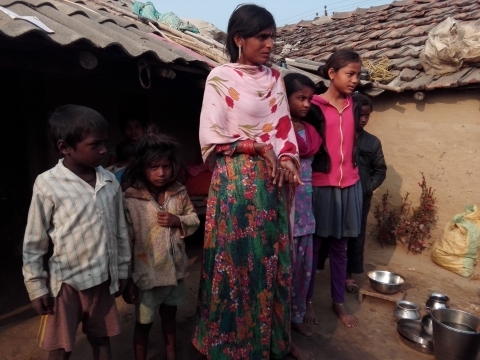 Working Group 12 considers the impact that diarrhoea and faecally-related infections can have on the nutritional status of children and other vulnerable groups. Other, often neglected, faecally-related infections are very widespread such as intestinal nematodes like Ascaris and hookworm which claim nutrients for themselves so that they are not available to be taken up by the human body. These infections are often subclinical and less visible, less measurable, not episodic but continuously debilitating, and less treated but have an impact on the long-term causes of chronic malnutrition. Send us a message via the contact us form with “WASH and nutrition linkages” in the subject line.